Mortgage lenders are familiar with HUD forms. Any time you buy or sell a house, you will likely have to complete several different HUD forms. The abundance of these forms may seem daunting, but they are not too terribly complicated. The Realtor, lender, and closing agent with whom you are working is likely to provide you with copies of all the documents needed to complete your real estate transaction. Your Realtor will provide the documents related to the actual purchase or sale of the home. If you are the buyer, the lender will provide you with the forms associated with financing your home. The closing agent will verify that all documentation has been completed prior to closing, and provide both the buyer and the seller with additional required HUD documentation to sign. What Is the Low Income Housing Tax Credit? In the event that you need to find HUD forms yourself - or if you simply want to view the types of forms you will have to complete ahead of time - you may view and download documents from the HUD website. This website contains forms intended for use both inside and outside the organization. Some documents apply only to HUD employees, public housing authorities, grant recipients, and others. You may also access FHA loan forms via the same website. There are many different types of HUD forms, covering all different types of real estate transactions. Some are used only by individuals working in the real estate or mortgage industries, but many of them are required from consumers who purchase or sell homes. Settlement Statement (form HUD-1) - This document details information about the costs of purchasing, selling, and closing on the real estate transaction. It reveals the total amount of money received from and due to both the buyer and the seller, if applicable, at the closing table. FHA Mortgage Fact Sheet (form HUD-92900-B) - Homebuyers seeking FHA funding to purchase a home must review and sign this form prior to making formal application for funding. Important Notice to Homebuyers (form HUD-92900-B) - Prior to applying for an FHA loan, homebuyers must review and sign this document. It contains details and cautions about purchasing and financing a home, ranging from information about how interest rates and discount points are calculated to penalties for loan fraud, and a variety of other facts. 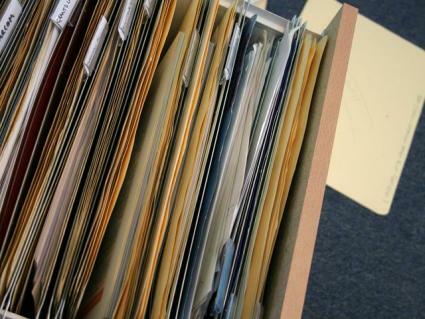 When you purchase or sell a home you should be prepared to complete a significant amount of paperwork. Real estate transactions are binding legal contracts, so it's important to make sure that all necessary documentation is in order at every step of the process. When you know what to expect with regards to necessary documents you won't be surprised when asked to provide certain types of information. By reviewing the HUD forms applicable to your situation ahead of time, you can get a head start on gathering the information you will need in order to make sure that your home sale or purchase goes as smoothly as possible.